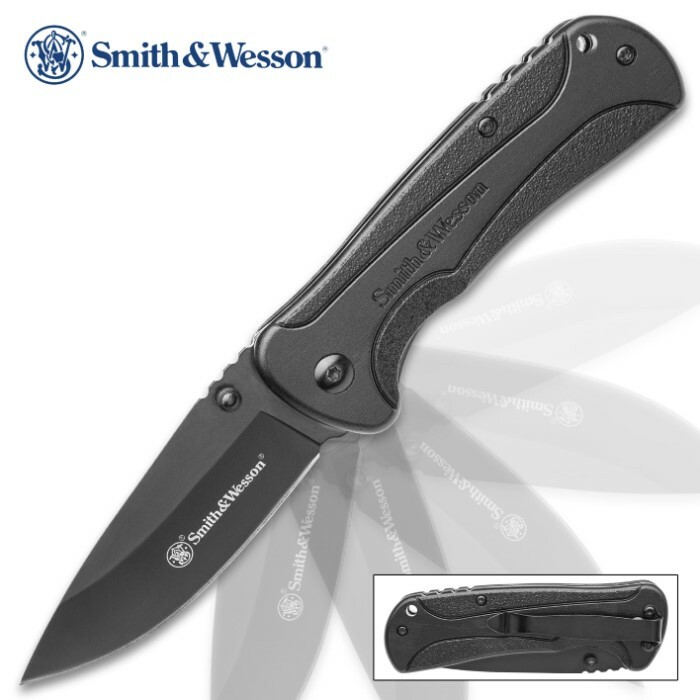 Smith & Wesson Grey EDC Assisted Opening Pocket Knife - Stainless Steel Blade, Stainless Steel And Polymer Handle, Pocket Clip | BUDK.com - Knives & Swords At The Lowest Prices! The Smith & Wesson Grey EDC Assisted Opening Pocket Knife features an ultra-tactical design that has been made comfortable for everyday carry. 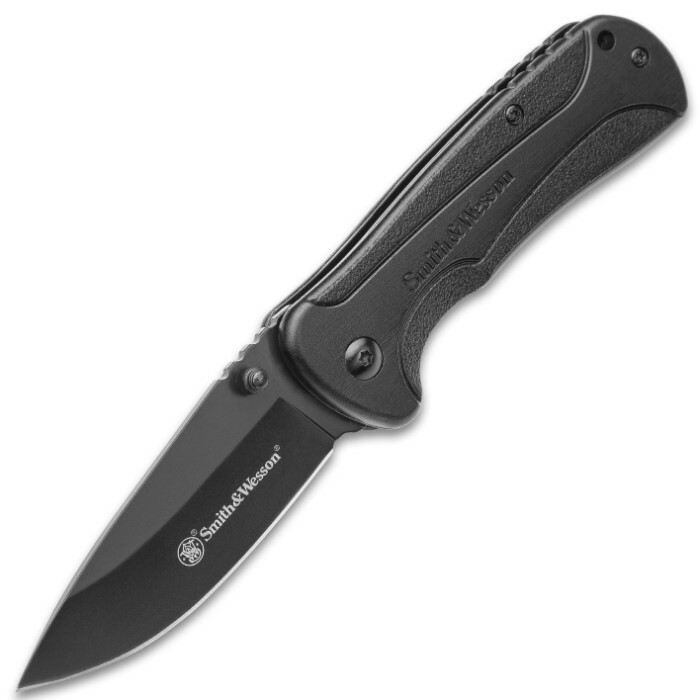 The everyday carry pocket knife has a razor-sharp, 3" stainless steel drop point blade with a non-reflective black finish. Dual thumb studs provide smooth ambidextrous deployment for the assisted opening blade. 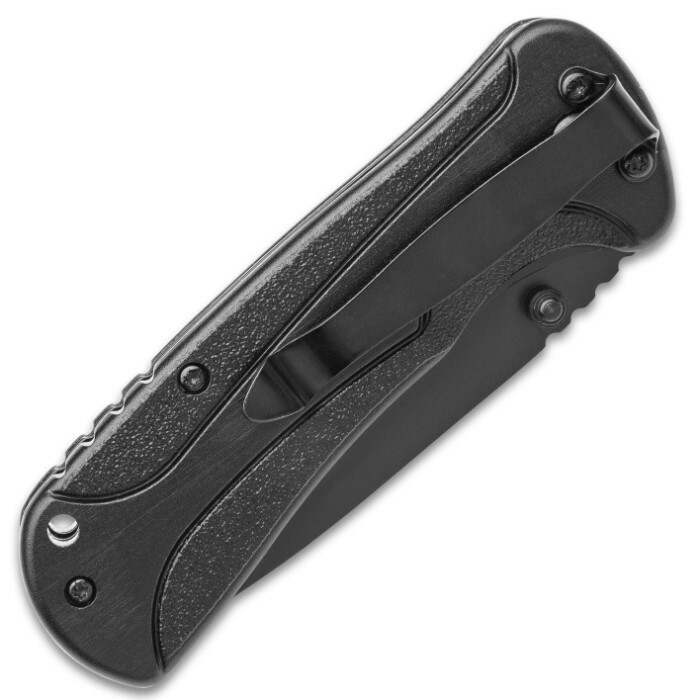 The stainless steel frame handle has black polymer scales for a durable lightweight build and includes a stainless steel pocket clip for tip-down carry.